John Brennan heads to the Senate today for the first step toward his confirmation to be director of the CIA. But as the president's top counterterrorism adviser goes under the microscope before the Senate Select Intelligence Committee this afternoon, so will the administration's controversial, mostly-clandestine policy of targeted, "drone strike" killings. Brennan's nomination itself hasn't been widely controversial: Unlike with Mr. Obama's defense secretary nominee, former Sen. Chuck Hagel, R-Neb., and the potential nomination of U.N. Ambassador Susan Rice to be Secretary of State, no lawmakers have openly objected to the nomination of the long-serving counterintelligence official, who is viewed as a close confidante of the president. But as the person who has for the past four years overseen and managed the White House's kill lists, and essentially institutionalized the drone program itself, Brennan's nomination has highlighted a policy that is as controversial as it is under wraps - and a handful of senators vowed this week to use his confirmation hearings as an opportunity to learn more about who and under what circumstances the White House has authorized the killing of American citizens through its drone program. Brennan's role in the U.S. drone program has taken on a particularly renewed level of scrutiny this week: On Monday, NBC published a confidential Justice Department memo outlining the expansive justification with which the U.S. authorizes the use of drone strikes. Following suit, the New York Times and the Washington Post, among other publications, revealed the existence of a widely known but previously unreported CIA drone base in Saudi Arabia, with which Brennan reportedly worked closely. White House Press Secretary Jay Carney has been adamant in his defense of both Brennan and the drone program, which he praised as "legal," "ethical," and "wise." And amid a chorus of senators' requests for more information about the specific legal justifications for authorizing the killing of Americans in the course of counterterrorism operations, a White House official announced Wednesday evening that Mr. Obama was directing the Justice Department to provide congressional intelligence committees with access to classified information explaining the legal rationale for those strikes. Even so, this issue promises to come up at today's hearing. "We're expecting to get our questions answered," said Mike Saccone, a spokesman for Sen. Mark Udall, D-Col., of today's hearing, in an interview with CBSNews.com. Saccone said Udall has "not decided where he is on the Brennan nomination," but that his decision is contingent on today's hearings. The question of drone strikes isn't the only controversial counterintelligence issue that's bound to get a platform today: Lawmakers have also expressed concerns about Brennan's position on enhanced interrogation techniques, particularly given his high-level position at the CIA during a period when those methods were used, and have pledged to press him for specifics about what he knew and when. Brooke Sammon, a spokeswoman for Sen. Marco Rubio, R-Fla., also cited the spate of "worrisome" national security leaks in 2012 "should be a topic for Mr. Brennan's nomination hearing," though she declined to specify whether or not Rubio himself would ask Brennan about subject. As for his vote, Sammon said Rubio would not "prejudge" the nominee prior to his hearing. In a letter to Brennan released publicly last night, Sen. John McCain, R-Ariz., who does not sit on the SSIC, demanded answers to questions addressing all three issues. "Is there any record from this period of time of your alleged opposition to waterboarding? If so, please identify these records," wrote McCain, a Vietnam war veteran who was subjected to years of torture after becoming a prisoner of war in 1967. "Do you believe that intelligence gained from detainees who were subjected to enhanced interrogation techniques while in CIA custody was directly responsible for the disruption of active terrorist plots?" Most Republican senators, however, have been relatively quiet on Brennan's nomination since its announcement: Even Sen. Lindsey Graham, R-S.C., who has objected vehemently to a number of Mr. Obama's potential cabinet picks, only expressed lingering concerns about what happened during the Sept. 11 Benghazi attacks, noting that his "support for a delay in confirmation is not directed at Mr. Brennan" himself. Given that Graham has been granted yet another hearing related to Benghazi today with outgoing Defense Secretary Leon Panetta, there's no indication Republicans will make put up a major fight to sink Brennan's chances. Even among Democrats who object to Brennan's drone policies, the hearings will serve more as an opportunity to publicly seek information about the secretive program than to derail the president's pick to lead the CIA, according to Micah Zenko, of the Council on Foreign Relations, who writes extensively on drones and U.S. counterterrorism. 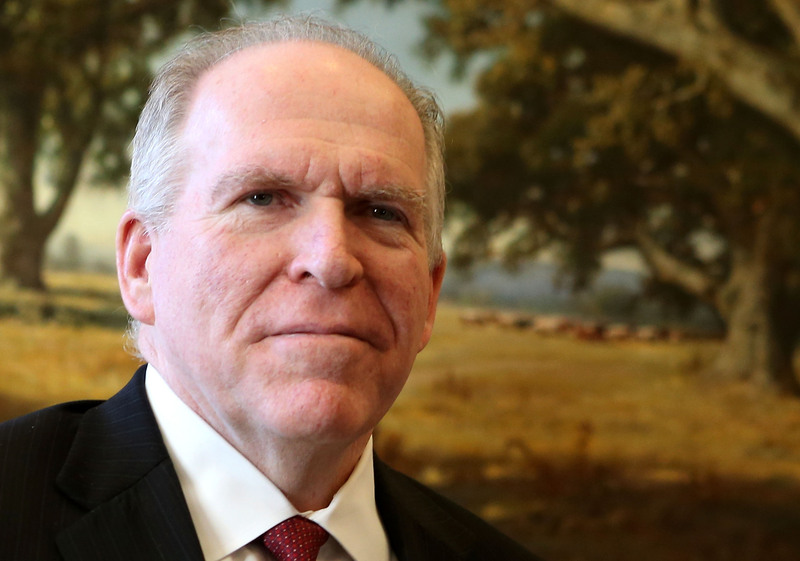 "There will certainly be some discussion about targeted killings, but Brennan has established positions on this policy," he said. "We'll hear what we've heard before." Zenko argues that while Brennan has been "essential in codifying and institutionalizing the process of targeted killing," he'll also be taking something of a demotion as CIA director. "Brennan has less power at Langley than in the basement of the White House," he said, where Brennan worked from the basement and met with the president several times a day. "At Langley, his boss is James Clapper." Not to mention the fact that Brennan's work during Mr. Obama's tenure has been reflective of the president's own policies. Even if tapping Brennan to direct the CIA signals a continuity of the administration's drone program, it would be unusual for members of the president's own party to block a nominee who espoused his ideology -- even if they don't like it. "They may make for some strange bedfellows, but I think it'll be pretty much smooth sailing," said Max Abrahms, a fellow and international security expert at Johns Hopkins University. "I think the reality is that drones are the way of the future."